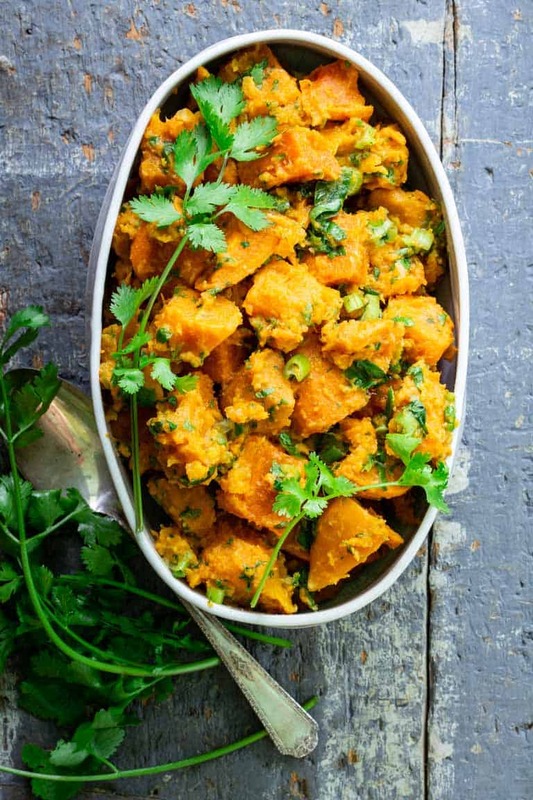 This Paleo Ginger Cilantro Sweet Potato Salad may just rock your backyard barbecue’s world. It’s also vegan friendly and naturally gluten-free. 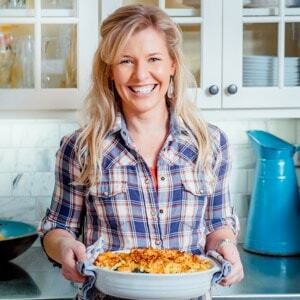 By now you have heard me say that my sister, Jessie is the Editor in Chief of EatingWell Magazine. Well, every time an issue arrives, her letter from the Editor is the first thing I read. I well up with tears every time. Without fail. By now you also are aware of the fact that I am prone to weeping at the drop of a hat. That’s not to say her letters aren’t great, they really do strike a chord. Lately I have been thinking about a particular editor’s letter about a reader letter she’d gotten. Did you read that one? Basically, this reader had written in to tell her weight loss success story. She had seen a photo of a recipe on Yahoo from EatingWell that looked so good, and she clicked through to print it out. She was skeptical and worried that it wouldn’t actually taste good because it was healthy, but the photograph just made it looks so yummy she tried it anyway. She and her husband absolutely loved it. It was like the gateway recipe! They continued to print recipes and enjoy them. Before long she started researching about healthy eating and continued on a path to weight loss success. I am so glad they discovered the joys of healthy eating, and is healthier and slimmer as a result. That is worthy of a tear from me for sure. Discovering that healthy food tastes good is a huge step towards health and weight-loss. 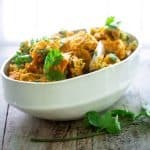 Taking it a step further, I think one of the most important keys to sustaining a healthy diet is making sure healthy food taste good all the time. I think of the sustainability of a loveless snack made of diet cheese singles melted on rice cakes — I may or may not have seen such creations circa 1987. Or just trying to use fat-free mayonnaise in a potato salad. There is no satisfaction in that. It certainly doesn’t taste good. You can stick with that diet franken food stuff for only so long before you need flavor. Real food. I guess this is something I take for granted a lot. That healthy food tastes good. My mom is an amazing cook and she put delicious healthy and gourmet meals on our table every night. This was the norm for me and my sister our whole lives. For me, healthy food has always tasted great and never had the stigma this reader had been living with. I am so grateful for my luck, and I want to help people have the same thing. I bring that up today because this potato salad tastes good, and it also happens to be healthy. I wouldn’t want people to hold the fact that it is healthy (a superfood, in fact) against it. When I was deciding how to describe this potato salad I just kept thinking about how I wished the photos had been a little better like the one that had been on Yahoo, so that they could maybe inspire someone else who was skeptical and push them over the edge to try a try it… even though it is healthy. I do not doubt for a moment, that if a skeptic were to try this, they would love it. I need you all to help out. Make this potato salad and bring it to a barbecue. Maybe a skeptic will taste it. Maybe that bite will be their gateway bite to healthy eating! And when they do they’ll be one step closer to discovering that healthy food can in fact taste amazing! Peel and steam the sweet potatoes — If possible, use a steamer basket to cook the sweet potatoes instead of boiling them. This will keep all the nutrients inside the potatoes and prevents them from overcooking and turning to mush when you add the other ingredients. Cool the sweet potatoes — Once you’ve steamed the potatoes, spread them out onto a baking sheet and let them sit on your counter until cooled most of the way. Make the healthy potato salad dressing — No ranch dressing or mayo here! This sweet potato salad uses a basic vinaigrette to flavor it. Freshly grated ginger, lime juice, olive oil and salt make for a simple, yet powerful dressing. Toss everything together — Mix together the cooled sweet potatoes, dressing, chopped scallions and cilantro. Cover the healthy potato salad with plastic wrap or store in a sealed container and refrigerate until fully cooled. The beauty of sweet potato salad is that it lasts a few days in the fridge without going mushy. In fact, I think this healthy potato salad tastes even better as leftovers! The ginger and lime will seep into the potatoes the longer the potato salad sits in the fridge. To store this vegan sweet potato salad, you’ll want to pop it into a sealed container (mason jars, Tupperware, etc will work). When you’re ready to enjoy, simply eat it as is! Hey Vermonters: Please tune in to WCAX Chanel 3 this Wednesday evening at 5:30 for The:30. I’ll be making this recipe and one other healthy barbecue side dish. PS: If you’re making this Paleo Sweet Potato Salad for a Picnic or Barbecue and need some dessert inspo: I bet this super easy 4 ingredient Paleo Coconut Macaroons Recipe would also be a huge hit with other healthy foodies! Were you a skeptic that healthy food wouldn’t taste good? 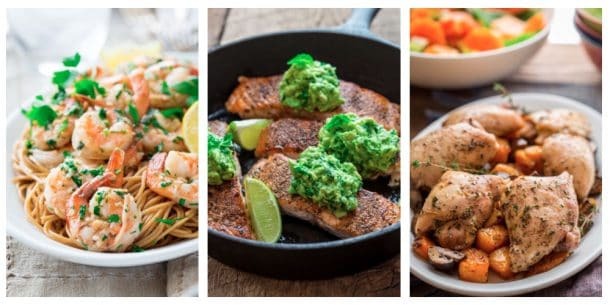 Do you know folks who won’t try healthy food because they think it tastes bad? 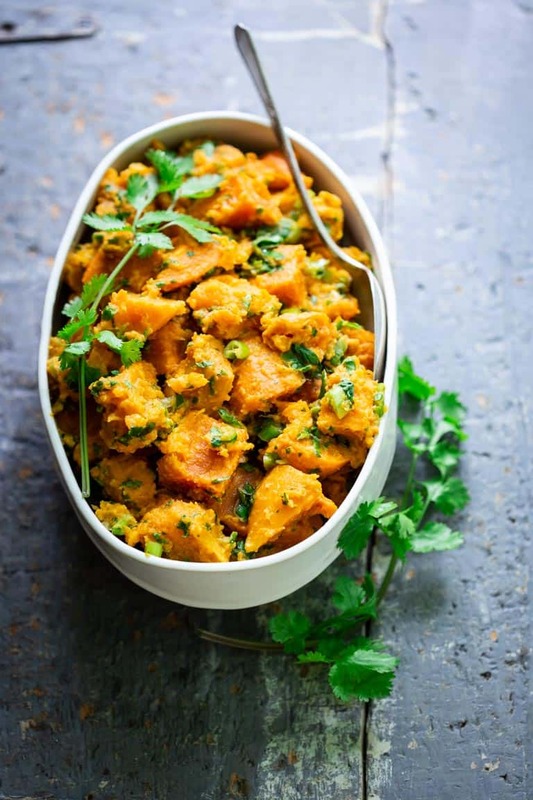 This ginger cilantro sweet potato salad is the perfect dish to serve at backyard barbecues. Bonus: it’s naturally gluten-free, paleo and vegan! Bring 2 inches of water to a boil in a pot fitted with a steamer basket attachment. Add sweet potato and steam until tender when tested with a fork, 15 to 20 minutes. Remove steamer basket and spread the potatoes out on a baking sheet to cool quickly, about 15 minutes. Whisk oil, lime, ginger and salt in a large bowl. Add the potatoes, scallions and cilantro and toss to coat. Refrigerate to cool completely, about 1 hour 20 minutes. So simple and so good! For me, please double the cilantro! I am addicted to the stuff! Again, I didn’t know sweet potatoes are allowed in paleo. Thought they were high carbs and gi. Sounds deeeelish! My husband hates mayo (and I rarely eat it) so we never have potato salad, but I’m betting this is one he’ll eat! Thanks for sharing! I also agree that a huge part of sustaining healthy eating habits is making sure the food tastes good. Most of the time this isn’t too hard–fruits and veggies are often delicious on their own! And I love the simplicity of plain yogurt at times. But other times you just need to jazz it up a bit. Yay – you are on TV!!! With this recipe!!! Ugh – I live in GA and won’t see it! Any chance you’d post a link up to that TV clip…? 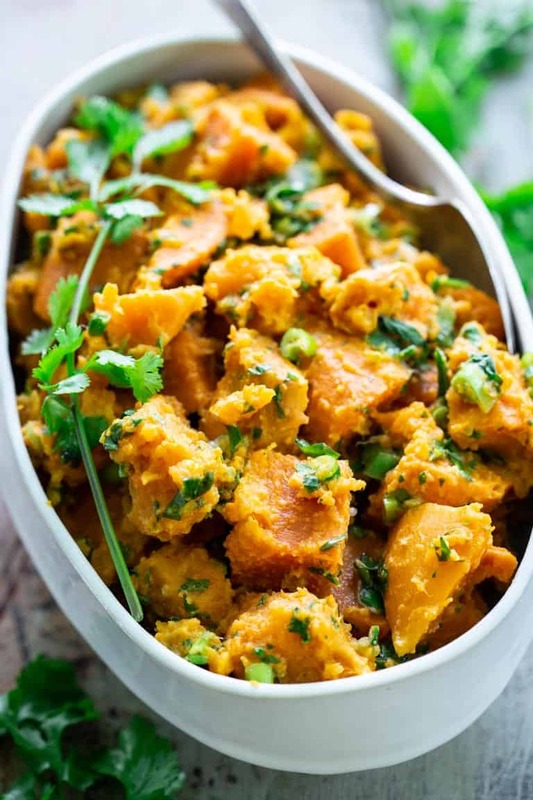 These cilantro-ginger sweet potatoes sound so delicious! You are so right on every front! Healthy food Needs to taste good or it just can’t be a sustainable way of life. I’m loving the ginger,lemon, olive oil combination, all flavors I love. So true. I think some people assume that whole/real food just can’t taste good. That has to change because it does taste great! My primary goal is to educate people that healthy food isn’t bland, boring food. That’s what Nutritioulicious is all about! Love that you’re doing the same. Love your twist on summer potato salad. I have a similar sweet potato salad but roast my sweet potatoes. Gotta try your variation this summer! I would boil, as roasting would dry the outside out too much for a salad.